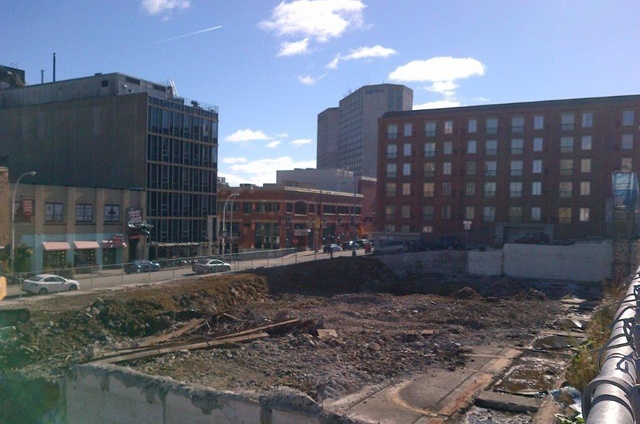 This project consisted of the demolition of the former Chronicle Herald building and the former parking garage. The Chronicle Herald structure was a steel-framed composite with concrete framing, while the parking garage was a heavily-reinforced concrete structure built in 1905. Hazardous material abatement included removal of asbestos pipe wrap, mercury light tubes, and lead paint, all under type-2 abatement procedures performed by a sub-contractor to us. The structure to be demolished consisted of a 70 foot tall 6 story structure that was built in the early 1900’s and was composite steel and concrete framed. 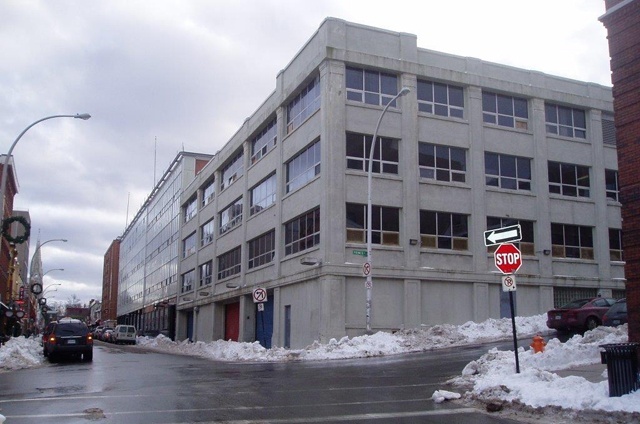 The adjoining structure was a large parking garage concrete framed and stood 55 feet tall and was built in the 1940’s. The 6 story structure had the top two floors removed with small excavators and skid-steer loaders to lower the effective height of the structure. This building had extensive hoarding and scaffold protection erected on the perimeter to protect against falling debris, as it loomed over city streets. The structure was shored to ensure sufficient strength to support the working equipment. 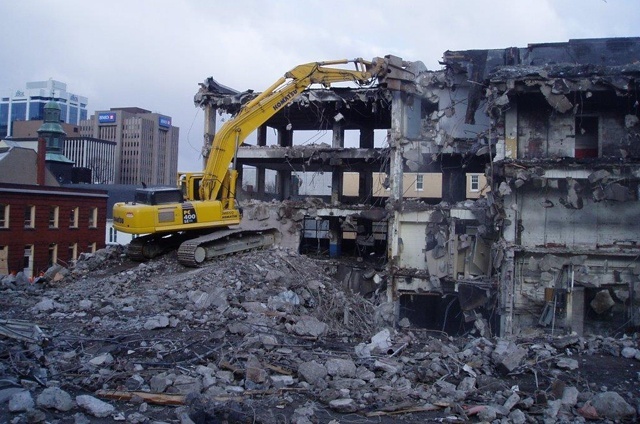 Once the structure was lowered to a height where conventional equipment could reach, it was demolished utilizing a 50 tonne excavator complete with concrete processor attachment. A 40 tonne excavator with bucket and thumb provided assistance with bailing large amounts of concrete for ramps for the 50 tonne excavator to obtain the necessary height. An additional 20 tonne excavator was utilized for loading and sorting of debris. Street enclosures were employed to enable the demolition. Dust and noise suppression was paramount since the structure was immersed in a popular downtown commercial and tourist district.